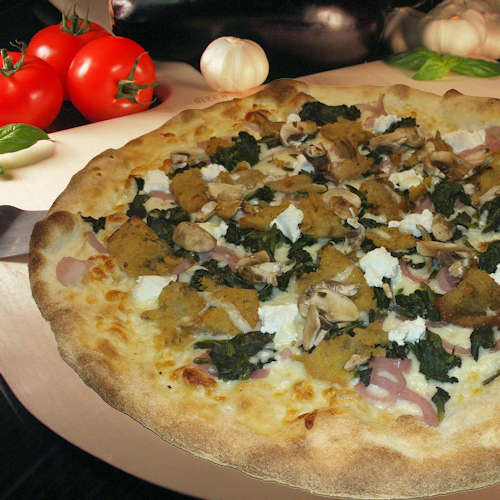 Ingredients: Breaded Eggplant, Mushrooms, Onions, Spinach, Ricotta Cheese and Mozzarella. Save $3.00 on a large Mrs. Jones Specialty Pizza for a limited time only. Don't miss out! Grab yours today!